International Journal of Reproduction, Contraception, Obstetrics and Gynecology. 2016; 5(6): 2055-2057.
International Journal of Research in Medical Sciences. 2014; 2(3): 1161-1164.
International Journal of Research in Medical Sciences. 2014; 2(3): 847-851. Ephedrine: direct, indirect or mixed acting sympathomimetic? International Journal of Basic & Clinical Pharmacology. 2014; 3(3): 431-436.
International Journal of Basic & Clinical Pharmacology. 2016; 5(3): 599-604.
International Journal of Reproduction, Contraception, Obstetrics and Gynecology. 2015; 4(3): 770-775.
International Journal of Basic & Clinical Pharmacology. 2015; 4(4): 623-631.
International Journal of Reproduction, Contraception, Obstetrics and Gynecology. 2016; 5(3): 826-830.
International Journal of Current Research and Review. 2014; 6(20): 55-60. National Journal of Physiology, Pharmacy and Pharmacology. 2011; 1(2): 68-78. National Journal of Integrated Research in Medicine. 2015; 6(4): 36-43.
International Journal of Reproduction, Contraception, Obstetrics and Gynecology. 2014; 3(4): 1097-1099.
International Journal of Livestock Research. 2011; 1(1): 30-36. The Southeast Asian Journal of Case Report and Review. 2015; 4(4): 1924-1930.
International Journal of Research in Medical Sciences. 2016; 4(4): 1307-1308. National Journal of Community Medicine. 2016; 7(3): 176-179.
International Journal of Contemporary Pediatrics. 2016; 3(1): 155-158.
International Journal of Contemporary Pediatrics. 2016; 3(3): 1001-1005.
International Journal of Contemporary Pediatrics. 2016; 3(4): 1278-1283. National Journal of Physiology, Pharmacy and Pharmacology. 2011; 1(1): 32-34.
International Journal of Research in Medical Sciences. 2014; 2(4): 1799-1803.
International Journal of Current Research and Review. 2015; 7(21): 19-24.
International Journal of Current Research and Review. 2014; 6(13): 15-23. Antimicrobial Susceptibility Pattern of Pathogenic Bacteria Causing Urinary Tract Infection (UTI) with Special Reference to Gram Negative Bacteria. International Journal of Health Sciences and Research (IJHSR). 2015; 5(11): 136-139.
International Journal of Medical Research & Health Sciences. 2015; 4(3): 483-485. Journal of Research in Medical and Dental Science. 2016; 4(3): 190-192. Journal of Research in Medical and Dental Science. 2014; 2(3): 6-8. 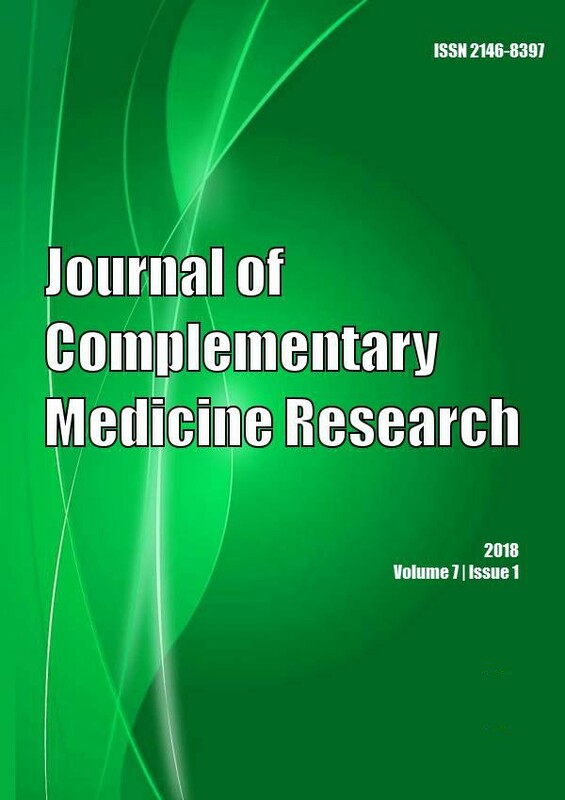 *Salmani Manjunath P,**Mindolli Preeti B,*Peerapur B.V.
Journal Of Advance Researches In Medical Sciences ( Formerly Journal of Advance Researches in Biological Sciences). 2011; 3(2): 113-116.
International Journal of Research in Medical Sciences. 2014; 2(4): 1591-1594. The Southeast Asian Journal of Case Report and Review. 2013; 2(4): 275-280. The Southeast Asian Journal of Case Report and Review. 2013; 2(5): 369-373. Journal of Research in Medical and Dental Science. 2015; 3(4): 287-289.
International Journal of Current Research and Review. 2017; 9(12): 27-31.
International Journal of Current Research and Review. 2015; 7(14): 85-90. National Journal of Physiology, Pharmacy and Pharmacology. 2011; 1(1): 23-31.
International Journal of Reproduction, Contraception, Obstetrics and Gynecology. 2016; 5(10): 3326-3329. A Study on the Knowledge, Attitude and Practice about Contraception among Women with Severe and Persisting Mental Illness versus Women with Medical Illness. International Journal of Health Sciences and Research (IJHSR). 2014; 4(12): 335-338. Acute Panmyelosis with Myelofibrosis: A Rare Entity. International Journal of Health Sciences and Research (IJHSR). 2013; 3(9): 115-119. Auditory Brainstem Response Results In Normal-Hearing Patients with Tinnitus. International Journal of Health Sciences and Research (IJHSR). 2014; 4(10): 229-233. Trends in Bacterial Spectrum of Community Acquired Urinary Tract Infections (UTIs): A Comparison of Data for Years 2011 & 2014 at a Tertiary Care Teaching Hospital. International Journal of Health Sciences and Research (IJHSR). 2016; 6(7): 130-137. National Journal of Medical Research. 2013; 3(4): 389-391.
International Journal of Livestock Research. 2017; 7(4): 102-112. Intra-Parotid Epidermal Inclusion Cyst: A Case Report of a Rare Entity. International Journal of Health Sciences and Research (IJHSR). 2015; 5(10): 385-387. A Comparative Evaluation of Caesarean Section by Misgav Ladach Technique and Conventional Technique. International Journal of Health Sciences and Research (IJHSR). 2015; 5(8): 94-98.
International Journal of Research in Medical Sciences. 2016; 4(1): 105-110.
International Journal of Research in Medical Sciences. 2016; 4(5): 1636-1640.
International Journal of Reproduction, Contraception, Obstetrics and Gynecology. 2016; 5(4): 1225-1227.
International Journal of Current Research and Review. 2014; 6(10): 37-44.
International Journal of Reproduction, Contraception, Obstetrics and Gynecology. 2016; 5(7): 2453-2456.
International Journal of Basic & Clinical Pharmacology. 2016; 5(5): 2110-2113.
International Journal of Health and Rehabilitation Sciences (IJHRS). 2012; 1(2): 112-118.
International Journal of Research in Medical Sciences. 2016; 4(3): 829-835. A Comparative Study on Management of Diabetes Mellitus Relation to Dipeptidyl Peptidase-4 Inhibitors. International Journal of Health Sciences and Research (IJHSR). 2015; 5(11): 198-204.
International Journal of Current Research and Review. 2015; 7(17): 01-06. Dealing with Indoor Air Pollution: An Ethnographic Tale from Urban Slums in Bangalore. International Journal of Health Sciences and Research (IJHSR). 2016; 6(1): 348-361.
International Journal of Medical Research & Health Sciences. 2015; 4(1): 214-218.
International Journal of Research in Medical Sciences. 2013; 1(2): 62-65. National Journal of Integrated Research in Medicine. 2015; 6(5): 28-33. National Journal of Integrated Research in Medicine. 2014; 5(6): 49-52.
International Journal of Basic & Clinical Pharmacology. 2016; 5(5): 1892-1897. National Journal of Integrated Research in Medicine. 2015; 6(4): 82-85.
International Journal of Research in Medical Sciences. 2016; 4(6): 2093-2100.
International Journal of Reproduction, Contraception, Obstetrics and Gynecology. 2015; 4(2): 334-337.
International Journal of Reproduction, Contraception, Obstetrics and Gynecology. 2013; 2(2): 165-171. National Journal of Integrated Research in Medicine. 2015; 6(5): 54-57.
International Surgery Journal. 2016; 3(4): 1751-1756.
International Surgery Journal. 2016; 3(4): 1996-2002.
International Journal of Medical Science and Public Health. 2014; 3(2): -. Dr. Preeti Jain*, Dr. Roopam Jain**, Dr. Chinmay Shah***, Dr. R. S.Trivedi****, Dr. A. K. Jain*****, Dr. Manisha Jindal#, Dr. R. Dixit##. National Journal of Integrated Research in Medicine. 2013; 4(3): 78-84.
International Journal of Reproduction, Contraception, Obstetrics and Gynecology. 2016; 5(10): 3433-3438. National Journal of Integrated Research in Medicine. 2012; 3(3): 165-169. National Journal of Integrated Research in Medicine. 2012; 3(2): 166-168.
International Journal of Medical Science and Public Health. 2014; 3(1): 73-75.
International Journal of Reproduction, Contraception, Obstetrics and Gynecology. 2016; 5(5): 1451-1456. National Journal of Integrated Research in Medicine. 2013; 4(2): 118-122.
International Journal of Research in Medical Sciences. 2015; 3(1): 151-155.
International Journal of Reproduction, Contraception, Obstetrics and Gynecology. 2016; 5(6): 1757-1764.